Sanofi-Aventis, et al. v. Apotex Inc., et al. Intellectual property - Patents, Medicines. The Applicants (collectively, “Sanofi”) are the patentees and have the rights to a series of Canadian patents for the drug, ramipril, used in the treatment of hypertension. The original ‘087 patent issued in 1985 and was set to expire in 2002. In an effort to extend that patent protection, Sanofi obtained a further series of patents for different indications for ramipril and listed them on the Patent Register. Between 2003 and 2008, these “new” ramipril patents were challenged by Apotex Inc. and other generic manufacturers under the PM(NOC) Regulations. Sanofi applied for prohibition orders in each case, triggering a 24-month statutory stay that kept the generic competitors off the ramipril market during that period of time. Only one prohibition application was successful. Apotex received its NOC to market Apo-ramipril in December, 2006. Sanofi commenced separate unsuccessful infringement actions against both Apotex and the other generic manufacturers. Apotex then brought an action under s. 8 of the PM(NOC) Regulations, to claim damages for its net lost profits during the period of the statutory stay. Apotex Inc., et al. v. Sanofi-Aventis, et al. Intellectual property – Patents – Medicines – Patent for medicine held to be valid and infringed by generic manufacturer – How the utility promised by a patent is to be identified and ascertained – How an appellate court is to review factual findings of trial judge as to how skilled addressee would understand the promised utility – How limitations periods are to be applied in respect of activity that only involves conduct, including import and export, in one province. Plavix is a drug useful in inhibiting platelet aggregation activity in the blood which was developed, patented, and marketed by the respondents (collectively, “Sanofi”). The ‘777 Patent for Plavix is considered to be a selection patent that claims a subset of compounds which are already within the scope of the prior genus ‘875 Patent. The active ingredient in Plavix is clopidogrel bisulphate, the dextro-rotatory isomer of the racemate, having beneficial properties over both the racemate and the levo-rotatory isomer. Apotex Inc. (“Apotex”) attempted to market its own version of clopidogrel bisulfate. It applied for a Notice of Compliance from the Minister of Health, alleging that its version of clopidogrel did not infringe Sanofi’s patent. Apotex also alleged that the ‘777 Patent for Plavix was invalid on several grounds. Sanofi successfully obtained an order prohibiting the Minister from issuing the Notice of Compliance to Apotex. This order was upheld on appeal and again at the Supreme Court of Canada. Apotex then commenced an impeachment action in the Federal Court seeking a declaration that the ‘777 Patent was invalid on several grounds including lack of utility. Sanofi commenced its own action, alleging that Apotex had infringed its patent by importing clopidogrel into Canada and then exporting it from Canada for sale in other countries including the United States. The two actions were consolidated. In this uniquely tragic and distressing week on Parliament Hill, there was one thing that was a big story a week ago about an event that was rumoured to be on the brink of happening but which has now quietly disappeared from the radar screen. There were rumours and/or leaks and/or trial balloons about a possible amendment to the Copyright Act buried deep inside an omnibus budget implementation bill that would supposedly legalize the use of excerpts of broadcast network footage of political figures sounding foolish or frightening or otherwise unattractive for the benefit of other politicians who want to use this kind of advertising. Some call this “negative ads”. Others call it “information” or “freedom of expression”. In any event, I, Michael Geist and Ariel Katz quickly pointed out on our blogs and on air that this is already normally legal and does not require permission, much less payment. Normally, either the use is not going to be “substantial” or it will be “fair dealing” for one or more of the purposes of research, education, parody, satire or criticism. It will normally almost certainly pass the six factor test of fairness laid down by the Supreme Court of Canada. Now, it seems that the budget implementation Bill C-43, introduced on October 23, 2014 the day after the tragic terrorist event at the National War Memorial and in Parliament Hill, is devoid of any references to the amendments to the Copyright Act. HT to @SDoyle333 for this. If the Government has decided that it won’t amend the Act to deal with this issue, that would be wise because it would have been unnecessary. Moreover, it wouldn’t have worked anyway, because it seems that the real problem was that of a certain self-styled “consortium” of the major networks, which agreed not to broadcast these political ads that contain each other’s or third party footage, notwithstanding their documented awareness that copyright arguments won’t wash anymore, if they ever did. So, it will be interesting to see whether six residents or the Minister of Industry cause the Commissioner of Competition to commence an inquiry into this matter, or whether the Commissioner himself chooses to do so. Such inquiries are not conducted in public. If charges are ever laid under s. 45 of the Competition Act – and I’m not suggesting that this should necessarily happen – we will then certainly hear about it. Perhaps the networks will quietly undo their consortium agreement and we will see lots of political ads using embarrassing footage in the next year or so, whether we like the ads not. And there’s always this 1988 ruling by the Federal Court of Appeal, from which leave to appeal to the Supreme Court of Canada was denied in 1989, and which I was pleased to inform many unaware onlookers about, that should serve as a cold shower to any network or rival party who tries to block such ads. As I have suggested before in some detail on April 11, 2014, the Copyright Board is caught between a rock and hard place on the Access Copyright (“AC”) Post-Secondary file and the gap is narrowing. The withdrawal of the two main objectors – AUCC and ACCC – has not been publicly explained, but may well be for budgetary reasons, since they had already by mid-2012 spent almost three million that we know about to accomplish apparently little if anything other than providing a huge amount of interrogatory information for the benefit of AC and to reach model agreements that have been widely rejected by their own members. If indeed their withdrawal was for budgetary reasons, perhaps a lot of money could have been saved (not to mention time and resources amongst their members) if they had followed the well-established practice of responding to interrogatories only from a representative sample of members – as explicitly though belatedly reminded by the Board on June 6, 2011. Perhaps the Board assumed that they would have done just that. However, their failure to follow this practice remains unexplained, at least in public. Unfortunately, it only now appears that a very large number of universities and colleges may have spent an incalculable amount of time providing answers that could turn out to have been unnecessary. Even the smallest of the two hundred or so affected institutions has probably spent hundreds of person/hours on this process. One can only imagine the resources put in by the larger ones. In any event, this is water under the bridge and the AUCC and ACCC have indeed withdrawn, and also inexplicably withdrawn their objections, paving the way for a default decision that may be very harmful for their members and which may leave their members in a very difficult if not impossible position in terms of judicial review or other recourse in the event that there is a “mandatory tariff” and Access Copyright sets about to enforce it. The situation will be even more serious if York loses its litigation against AC, which won’t even get to trial before May of 2016. Finally, the withdrawal of CAUT and CFS as well as Mr. Katz implies that the Board staff needs to play a more active role in the file. In Access Copyright’s submission, an oral hearing is needed as a matter of procedural fairness and in view of Access Copyright’s reasonable expectation, based on directives and Notices of the Board, that there would be an oral hearing. The Directive on Procedure issued by the Board on October 16, 2012 stipulated that an oral hearing will be held. Notices issued by the Board on a number of occasions before Access Copyright filed its case1 confirmed that the Board would be holding an oral hearing. Access Copyright accordingly filed its case in the reasonable expectation that there would be an oral hearing. The Board adjourned the hearing sine die only after Access Copyright had filed its case. Given the reasonable expectation created by the Board’s directives and Notices, Access Copyright respectfully submits that the principles of natural justice and procedural fairness require that an oral hearing be scheduled in order to permit Access Copyright to put its entire case before the Board. There remains one objector, Mr. Maguire, in these tariff proceedings. It is not the fault of Access Copyright that the Association of Universities and Colleges of Canada (“AUCC”), the Association of Canadian Community Colleges (“ACCC”) and other institutions and individuals all withdrew as objectors. Access Copyright should not be prejudiced by the decision of those objectors to withdraw. We note that the Board has held hearings in other proceedings where there have been no objectors. It is quite clear that AC is setting the stage for judicial review here, if for any reason the default proceeding does not go their way and as far they want it to go, i.e. to a “mandatory tariff” that could render a large university liable for millions for making just one infringing copy of just one work that happens to be in AC’s repertoire, no matter how much money and effort that the university has spent in good faith on other means of copyright clearance and compliance. This file has been plagued with problems from the beginning, not least of which was the interim tariff imposed on the eve of Christmas in 2010 and the blatant failure of the AUCC and ACCC to even try have it set aside, which may have been quite possible at the time on several grounds as I have outlined many times. The current system in place at the Board is based upon the adversarial system, which has fundamentally failed in this instance due to the withdrawal of the main adversaries. The members of the AUCC and ACCC have a lot to be worried about. But so does AC. This is not a pretty picture. An oral hearing would provide at least some measure of transparency. It would provide the Board with an opportunity to publicly question AC’s witnesses to the extent that the Board believes it can and should do so, and to the extent of the Board’s resources, given that the Board does not seem to be contemplating the involvement of an amicus curiae. It would give the public the opportunity to attend and some basis to provide informed written comments, pursuant to the Board’s usual Directive on Procedure, especially if the Board were to promptly post a transcript of the hearing and set a deadline that would allow for meaningfully sufficient time for such comments. It may fall to the next Chair of the Board to decide how to proceed, since the past Chair’s appointment expired on May 13, 2014 due to the operation of the statute. In any event, the silence is beginning to get louder and the suspense is building. Countless “C” words have been in circulation re Copyright, Campaigns, a Certain Consortium, Collusion, Conspiracy, Co-conspirators, Cartel, Censorship, Confidence, CTV, CBC, Conservatives, and Commissioner of Competition. Of course, nothing regarding the Competition Act has been proven in court or is yet anywhere even near a court as far as I know. But the most applicable “C” word of all might be “Confusion”. I’ve been involved with copyright law for longer than I care to admit – indeed, more than three decades. But I don’t think I’ve ever seen so much confusion and just plain WRONG commentary about a copyright issue as I’ve seen in the last week of Coverage of the issue of copyright and negative political ads. The prize for the worst coverage of all goes, surprisingly, to someone who one would have thought would appreciate the importance of fair dealing and satire – but apparently does not. That would be Rick Mercer no less – and here’s his remarkably wrong Canard of a rant on the subject. CTV’s Question Period last Sunday wasn’t much better – despite the presence of several highly experienced and reputable journalists who one might have thought would understand the role and importance of fair dealing. Let us hope that this generally dreadful coverage is not related to the “consortium” agreement executed by senior executives of the main Canadian networks last spring, from which Sun News was notably and conspicuously excluded. Perhaps these otherwise usually reliable journalists have just drunk too much of their corporate employer’s Kool Aid over time. In any event, it’s time for some Clarity and hopefully a Conclusion. As I suggested last week, there are potentially interesting aspects involving Canada’s Competition Act issue arising out of the “consortium” agreement led by CBC concerning the signed agreement of the major broadcast networks in Canada to “to keep news content from being used without permission”, the content being footage of politicians who sometimes say silly or embarrassing things and permission not being needed when the use of such content involves insubstantial copying or fair dealing. Such footage has become the fodder of many “attack ads”, which are hardly a new practice. As I pointed out, the Liberals successfully fought for the right to air such ads back in 1988. 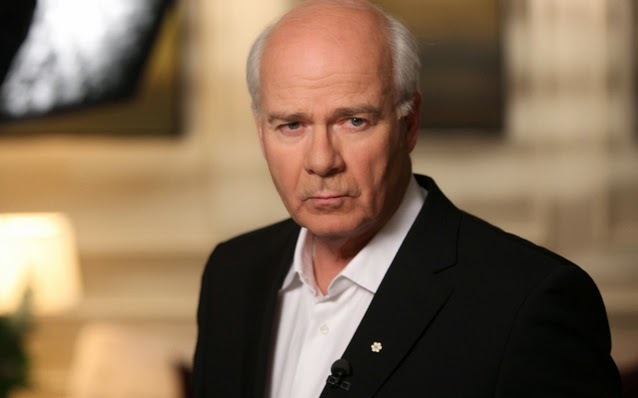 The CBC "consortium”, was apparently spear-headed by Jennifer McGuire in response to concerns by Peter Mansbridge about use of certain footage of him interviewing Justin Trudeau. My friend and colleague Prof. Ariel Katz of the U of T Faculty of Law, with whom I have worked closely on a factum that was quite influential in a landmark Supreme Court of Canada fair dealing case and other issues, is an internationally recognized leading copyright scholar and Canada’s foremost expert in the interplay of IP and competition law. 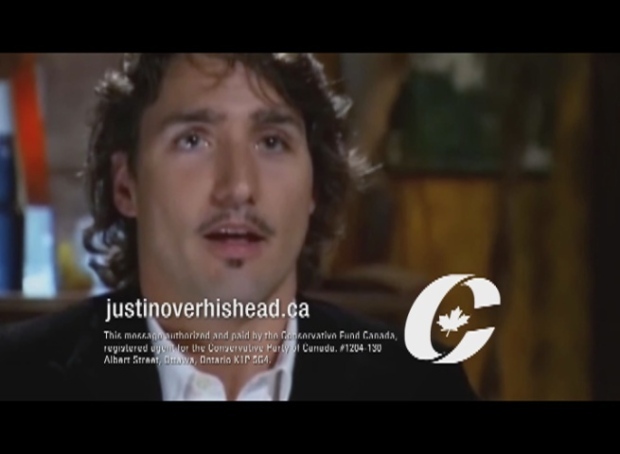 Here’s his blog from October 14, 2014 entitled Attack Ads, Copyright, and Collusion: Have Canada’s Major Broadcasters Violated the Competition Act? Prof. Katz discusses s. 45 of the Competition Act, which comes under the heading “Conspiracies, agreements or arrangements between competitors” and is perhaps the most feared and potent provision of the legislation. It is used in serious cases. It can put people in jail for up to 14 years and result in a fine of up to $25 million per count, or both, which is a very big time penalty by Canadian standards. Changes made by Parliament to the s. 45 provisions in 2009 that came into effect in 2010 may now make it easier in some circumstances to obtain a conviction. The new section provides for “per se” offences, which do not require proof that competition was lessened “unduly” and there is no need to prove any adverse market effects. There is no need to prove that the conspiracy in question was actually carried out – only that it was entered into. There’s also a less harsh new “civil” enforcement provision to be found in s. 90.1 that involves the Competition Tribunal, which may or may not be of interest in the current situation. To be crystal clear, nothing I am saying or have said accuses anyone of any offence or violation under this or any other provision of the Competition Act. I am merely pointing out that there are provisions in the Competition Act that may be relevant, depending on the facts, and that folks, including the Commissioner of Competition, may be interested in looking at this situation. Ezra Levant, himself a lawyer, has also expounded at length about all of this on October 13, 2014 and - leaving aside his clearly stated political preferences and taking his uniquely proud, provocative, political and personal proclivities into account - has some very useful and insightful things to say about copyright and competition law. If the Competition Bureau does not choose on its own to look into this, there is always the possibly of “six resident” complaint under s. 9 of the Competition Act, which as the term suggest, can be launched by any six Canadian residents. It doesn’t necessary go anywhere but it forces the Commissioner of Competition, at the very least, to open a file. Rather more potent is the provision under s. 10 of the Competition Act that requires the Commissioner to commence an inquiry at the direct of the Minister of Industry, which could potentially, if warranted, lead to a result that addresses the Government’s concerns. If the real issue here is something that can be dealt with under the Competition Act, then there may, at the end of the day, be no need to amend the Copyright Act – which already allows for the kind of “fair dealing” that most of these ads involves. If the networks have agreed among themselves not to broadcast material that is apparently legal according to copyright and is apparently not defamatory, then the Competition Bureau should at least be looking into this. Whatever one thinks of political attack ads, it must be noted that they have been used by the major parties in both Canada and the USA. One should not lightly ignore the saying attributed to Voltaire: "I disapprove of what you say, but I will defend to the death your right to say it". a. As Voltaire is said to have said, "I disapprove of what you say, but I will defend to the death your right to say it". b. The Government is right to be concerned about main stream network censorship of political speech. c. However, amendment to the Copyright Act may not be necessary or even effective because the Act already allows and indeed encourage such speech without the need of permission. In fact, this Government added the words “education, parody and satire” to the list of permitted purposes. There’s also a reassuring clip from Prime Minister Stephen Harper himself about all this wherein he makes it clear that the copyright law already is OK and allows this kind of political speech and he would be very concerned about anything that would block or censor this kind of information from the public. d. I don’t think it ever was the Government’s intention to give politicians any more political speech rights than NGOs, or unions, or bloggers or any other ordinary citizens interested in freedom of expression – but if there’s no need for legislation, then there’s no risk of such a presumably unintended consequence. e. This potentially could turn out to be a competition law issue. I pointed out last week, and I think I was the first, that this whole issue might be very interesting to the Commissioner of Competition. Now, we’ve seen 137 pages of documents unearthed by the Sun News network that are out there online on my blog and elsewhere about a network “consortium” to “limit” the kind of activity that’s under discussion. This could be of great interest to the Commissioner of Competition, who is independent of political influence and who has great resources and lots of investigate powers behind him. f. BTW, any six residents of Canada or the Minister Industry can start the ball rolling with the Commissioner of Competition, if for any reason the Commissioner doesn’t take the initiative himself and needs to be nudged. g. I have attached the potentially relevant provisions of the Competition Act for the convenience of readers who may not be familiar with them. h. I was just on Ezra Levant’s show once again on this issue – here’s the link. PS: Prof. Katz has reminded me that the UK Bill that led up to the monumental 1911 UK legislation and which included the fair dealing provision for the first time mentioned explicitly only 4 purposes: private study, research, criticism, review. “Newspaper summary” was added in committee because the British newspapers requested it, naturally, because they were concerned that, without it, it would be more difficult for them to produce newspapers. “Newspaper summary” was later considered as potentially too narrow, which is why, in Canada, we changed the term to “news reporting” in 1997. That clearly includes broadcast media, and not simply newspapers. The Canadian media apparently then didn’t think that fair dealing was “theft” or “stealing”. One important newspaper, the Toronto Star, even won one of the most important fair dealing copyright cases in Canada at that time, which involved the copying of the entire front cover page of a magazine that featured a picture of the then prominent politician Sheila Copps on a motorcycle that was used in an article about Sheila Copps. That was the case of Allen v. Toronto Star Newspapers Ltd., 1997 CanLII 16254 (ON SC). Also, see Prof. Katz’s Chapter entitled Fair Use 2.0: The Rebirth of Fair Dealing in Canada from the book edited by Michael Geist on the “Pentalogy”. Here's the follow up with Ezra Levant and Prof. Ariel Katz on s. 45 of the Competition Act and six citizen complaints, etc. Copyright And Political Ads: Insight Into a Certain "Consortium"
The news networks themselves are emerging as a major element in the unfolding story of copyright, campaigns and political ads. It seems that this is getting to be less about copyright and more about a certain "consortium". Regarding the possible legislation concerning the copyright aspects of political ads, I’ve now seen documents that indicate that there was a “consortium” of the major broadcasters formed this spring at the initiative of the CBC to deal with this issue. They apparently deliberately chose to leave Quebecor (Sun Media) out of the discussions. They agreed not to air political ads that include content from each other or even third party broadcasters and that this consortium was necessary because copyright law no longer worked to justify their position. Here’s the batch of documents, which a third party has obtained via ATIP. Readers may wish to focus on pages 58, 64, 83, 86, 89, 110, 112-113. 116-117, 122, and 137 for starters. All this could be of considerable potential interest to, at the very least, the CRTC, Elections Canada, and the Competition Bureau. Spoiler alert: the names Peter Mansbridge and Jennifer McGuire figure very prominently in these 137 pages. No doubt, more to come. There’s much talk about the Government including a provision in an omnibus bill in the next few weeks to legalize the copying of “news” clips from broadcast TV and Youtube, etc. by political actors for political purposes. I’ve looked at this as a copyright lawyer – not a war room lawyer and not a partisan. There’s a much leaked slide deck from Minister Glover about this proposal. But I haven’t seen the proposed legislation – so I can’t comment specifically on it in any way. But the following will hopefully contribute some useful analysis on the issues. First of all, this should not be a partisan issue. The path for this proposal and this type of advertising was paved by the Liberals in 1988 in this ruling by the Federal Court of Appeal, from which leave to appeal to the Supreme Court of Canada was denied in 1989. The Liberals fought for and won an injunction allowing them to proceed with the kind of advertising now under discussion. That decision – which every Canadian copyright lawyer should know about – did not provide a final ruling on the substantive issues but should serve as cold shower on attempts to shut down the use of clips from the networks in the course of political discourse. And that decision was 24 years before this government’s 2012 fair dealing amendments to the Copyright Act and the 2012 Supreme Court of Canada fair dealing decisions that reinforced the Court’s landmark 2004 CCH v. LSUC decision. This should not be seen as a debate about so-called “attack” ads. The very word is misleading. One person’s attack ad is another person’s exercise in public information, political discourse and free speech. Whether or not one agrees that these kinds of ads are good or bad, it’s clear that Canadian copyright law already grants lots of scope for what the most avid proponents of these ads could want. And if what is copied is not “substantial” (in a quantitative and qualitative sense in the context), the Copyright Act doesn’t even engage and there is no need for permission or payment. And even if what is copied is substantial, the fair dealing doctrine allows plenty of scope to copy for legitimate fair dealing purposes. This Canadian statutory and jurisprudential framework is exemplary by world standards. If the copying is manipulated, distorted or taken out of context in a way that’s over the line, we have defamation and moral rights legal remedies to deal with that. We need to have faith in our Parliament and our Supreme Court of Canada. We need to avoid the excess caution of the “clearance culture” phenomenon that encourages overly cautious lawyers to often advise their clients to needlessly ask for permission and even offer payment. We need to remember that we have the Charter of Rights and Freedoms here in Canada and it guarantees freedom of expression – which applies no less to political parties than it does to anyone else. We need to remember that the major broadcast networks are under federal oversight by the CRTC, Elections Canada and the Competition Bureau - so if they get together and take a position that they will refuse ads that use clips from one another based upon their own arguably misguided views on copyright law, they may be courting regulatory oversight and litigation that they will regret. It is not for the networks to decide whether a particular ad does or does not infringe copyright. And they should be reluctant to sue over the type of use being contemplated here – they all stand on each other’s shoulders and that’s the way journalism works. So, the question is whether, if one wants to see more of these kinds of ads, anything specific needs to be done, and if so, how – without opening toxic cans of worms and courting unintended consequences. For example, if the proposed law specifies that it’s OK to copy something for political advertising by a political actor in a political context, could that imply that’s it’s not OK to copy the same thing in another context, for example for education or research or criticism or to promote non-partisan but legitimate public policy campaigns by non-partisan organizations? One would hope not. All participants in a democracy including NGOs such as the National Citizens’ Coalition and the Council of Canadians and individuals arguably should have the same right to use these “news” clips as the politicians. BTW – some news organizations have been providing some rather misinformed, opinionated and apparently self-serving coverage on this issue. Their agenda is not very clear. They – of all folks – should believe that more dissemination of information and freedom of expression is a good thing. I was interviewed by four news organizations yesterday about this, who to their credit, tried to get some balance on this story. Here’s the interview with Barry Morgan on CJAD in Montreal. Here’s the CTV News interview. Here’s Jennifer Ditchburn’s Canadian Press story. Here's the interview with Ezra Levant on Sun News. I’ve now seen documents that suggest there was a “consortium” of the major broadcasters formed this spring at the initiative of the CBC to deal with this issue. They apparently deliberately chose to leave Quebecor (Sun Media) out of the discussions. They agreed not to air political ads that include content from each other or even third party broadcasters and that this consortium was necessary because copyright law no longer worked to justify their position.